Argentine superstar Lionel Messi apparently has an Iranian body double. 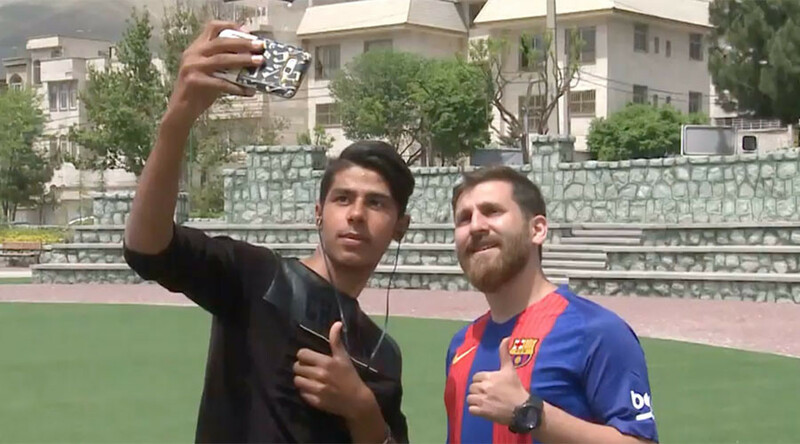 Reza Parastesh gets mistaken for the FC Barcelona footballer all the time, with people stopping to take selfies with him in the streets of Tehran. “The first time that I seriously decided to take a photo with sports clothes and introduce myself as the double of Messi. My father encouraged me. He said – do it,” explains Parastesh. The lookalike sports the same haircut and beard as the Barcelona forward, and his friends like having a Messi-impersonator in their gang. Sometimes being Messi’s doppelganger has its downside. Parastesh recalls when Argentina beat Iran in the 2014 World Cup, his father was so upset by Messi’s 91st-minute goal that saw Iran kicked out of the knockout stages, he couldn’t even look at him. “My father is a football fan, so he called me and told me ‘don't come home tonight’ because he thought that I scored that goal,” he said. “He didn’t let me come home." Tell us what you think. Would you be fooled by the lookalike?